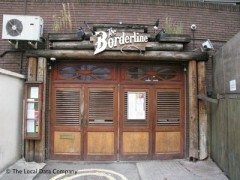 About: The Borderline is a nightclub with a licensed bar that offers a variety of live music ranging from music nights during the week including Punk, Rock and Heavy Metal to Hip Hop, Jazz and Dance music. They also have live performances with Country and Western singers on Sundays. Rock and indie rules at The Borderline with long-running nights Bedrock and The Christmas Club taking over Friday and Saturday nights in the Soho venue. Get in before midnight for reduced admission and jump up and down to The Strokes until 4am.